Do you prefer white meat or dark meat on chicken? I prefer dark meat over breast meat any day and this citrusy herbal chicken thigh dish was so easy to make in the Instant Pot (Amazon Affiliate Link). And my family fights over the dark meat too so of course, this rich and flavorful dish was a big hit when I served it the other night. 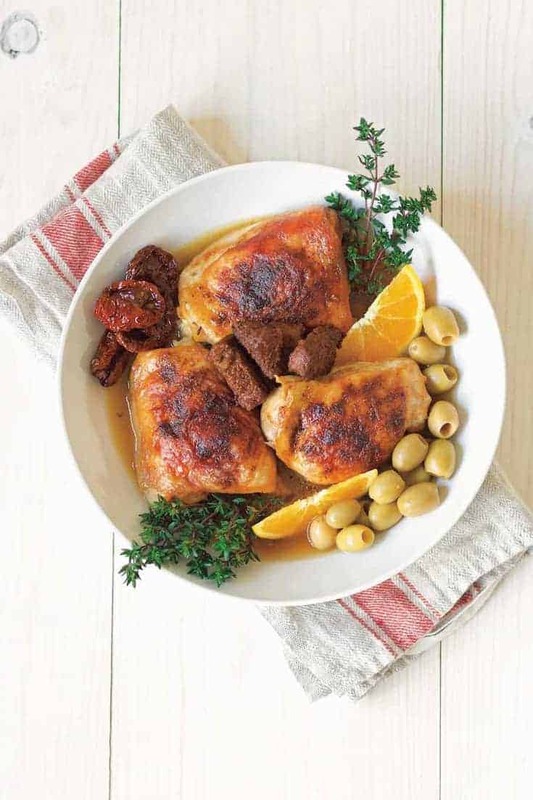 If you prefer the dark meat too, you will love this Citrus Herb Basque Chicken recipe from a new Instant Pot Cookbook which is being published tomorrow called The Art of Great Cooking with Your Instant Pot by Emily Sunwell-Vidaurri of Recipes to Nourish. 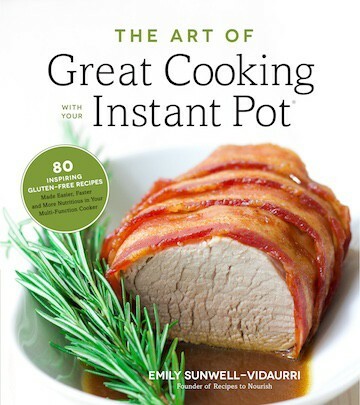 She loves Instant Pot as much as I do and her cookbook illustrates beautiful dishes you can create besides the usual stews and soups. 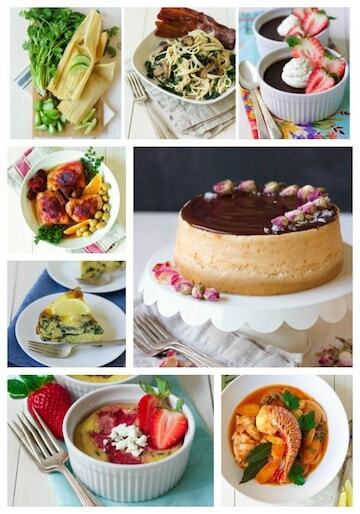 Emily loves developing allergy friendly and nourishing foods so she can share with her readers on her beautiful site but she always wanted to write a cookbook. Her mom, who passed away a few years ago, instilled in her the love of cooking real food since she was a little girl so she dedicated this first published cookbook to her. I’m sure she is very proud of her daughter and smiling down from the heaven. Besides this citrusy herbed chicken dish my family devoured, there are 80 gluten-free, nourishing recipes. The recipes are allergy-friendly, WAPF (Western A. Price Foundation) friendly and most are Paleo-friendly and vegetarian options too. The book is full of hearty meat dishes, beautiful soups and stews, gourmet pasta dishes, comforting casseroles, tasty breakfasts and heavenly SWEET TREATS, her specialty. Add 2tbsp of healthy fat of choice to the Instant Pot and press "Sauté". Once the fat has melted, add the chicken thighs, sprinkle with 1/2 tsp of sea salt and brown for about 2½ minutes per side. Add the remaining 1 tablespoon of healthy fat of choice, onion, garlic, thyme leaves and the remaining ¾ teaspoon of sea salt, sautéing for 5 minutes, stirring occasionally.